Google is constantly striving and evolving to provide better search results in the organic listings. Google is also emphasizing the importance of better content and fast loading site pages. Ultimately all these efforts lead to better user experience. Google also tries to add related features to its products. Google Adsense is one such product that has constantly evolved in terms of bringing updates in the direction of better user experience. Google's official blog for Adsense related information, Inside Adsense; posted an update on 13th January 2017 about Ad Balance. Ad balance is a feature introduced to give more controls to publishers to provide better ads experience to site visitors. 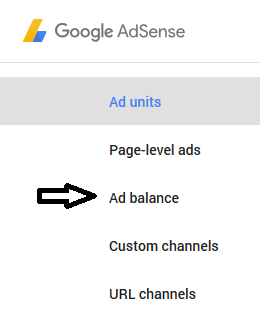 If you frequently visit the new interface of your Adsense account, you might have observed a new subtab named Ad balance under My ads. It is very important to find the right balance between the user experience on your site and number of ads you show. Ad balance helps you adjust the volume of ads which can lead to a better user engagement with your content. One need to note that this feature would help you showcase your best performing ads but that could also result in a minimal drop in earnings. But if you see the larger picture, with a better user experience, one could stay longer on your site and engage more with your content. This in turn can lead to better earnings in the long run. 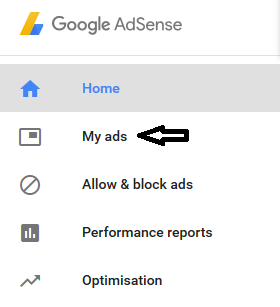 If you haven't yet moved to the new Adsense interface, just click on this option that would appear on your old Adsense interface. Click on My Ads under the menu of your new Adsense interface. Then click on Ad balance subtab. You would see a slider for Ad fill rate. This determines how often the ad space on your site is filled with ads. For example, you would want to allow 80% potential ads on your site instead of 100%. Use the slider to set the Ad fill rate to 80%. This would fill your page with highest paying ads for up to 80% of the time. Worth trying out. If it would add value to the overall user experience, it should ideally help you increase your Adsense revenue. But please note, Google doesn't guarantee any specific results. Your Adsense revenue depends on various other factors that can include your content, ad placements, site layout, etc.